On June 26-28 in Dilijan, the traditional three-day conference of “Media Content 2017” has been launched for the third time already, which is aimed at promoting continuous cooperation and exchange of experiences between Armenian and international broadcasters. This year as well the television production experts discussed the issues and challenges of the field, the demand and the possibilities of meeting it, with the content-development representatives of such channels like CNN, Cartoon Network, Boomerang and 40 other popular channels. «The international quality content is important especially for innovative projects realization in the education field. We have recently implemented such a project with Discovery Channel, and very soon a teenage team of winners will be heading to the headquarters of the European Space Agency in the Netherlands. However, we are striving to broaden the scope of cooperation with international companies», - said Hayk Yesayan, Director General at Ucom. 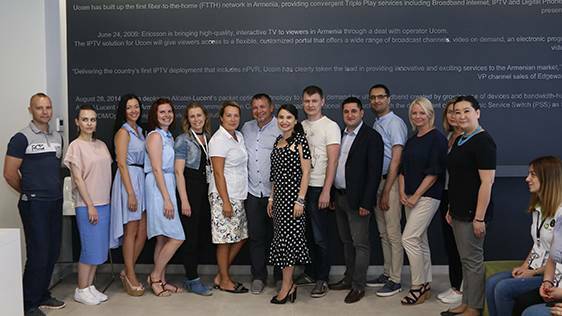 The staff, actors and other celebrities, working at the Armenia Premium channel’s (broadcast in Ucom network) content enrichment, attended the launch of the Conference. The attendees underlined the importance of such meetings and expressed positive feedback on the efficiency of the implemented projects. During the Conference, the Director General at Ucom Hayk Yesayan presented certificates of comprehensive cooperation to the Armenian and international partners, having expressed hope that this partnership will not only be continuous, but will also contribute to the advancement of companies’ business goals. 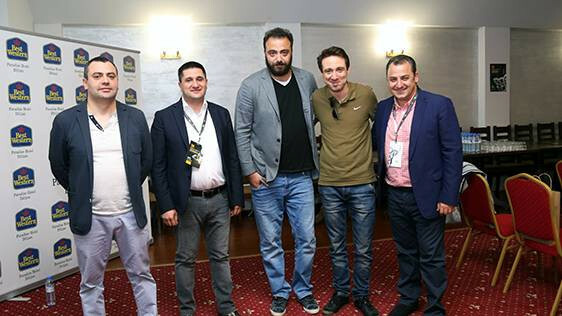 Let us add, that the last day of the Conference, June 28th, was marked by the signing of a Memorandum on Multilateral Cooperation, as well as master classes by Tatyana Kalita, the director of Turner Broadcasting and Ruben Mkhitaryan, the General Producer at Armenia TV.